Dr. Rosa Busquets is Lecturer in Analytical and Forensic Chemistry, School of Pharmacy and Chemistry, Kingston University, UK. She is Deputy Editor of papers published in the journal Nanomaterials and the Environment (DeGruyter Open). She has also published papers in several journals, including Food Chemistry, Food Science & Technology, Molecular Nutrition & Food Research, Chemical Research in Toxicology, Journal of Chromatography A, Journal of Chromatography B, Analytical Chimica Acta, Analytical Methods in the area of food chemistry and analytical chemistry, She holds 2 patents in these fields and has written 5 book chapters. 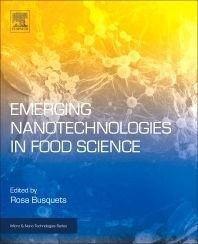 Dr Busquets has worked in nanotechnology from the perspective of food, analytical chemistry, material science and toxicology, has worked in Academia and in the Industry in the Nanotechnology sector.